Planning for PMBA’s 2017-2019 strategic plan began in October 2016 when the PMBA Board of Directors gathered for their annual retreat at PBS Headquarters in Crystal City, VA to discuss how our programs and services could best be developed to meet the rapidly evolving needs of our members and the public media system. 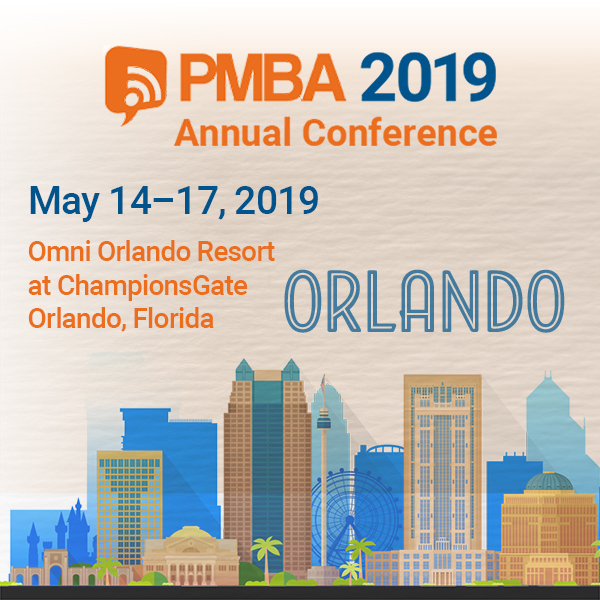 Given that PMBA exists to serve the needs of our members and given that those needs are changing rapidly, our attention was focused on how to better know our members and understand their needs. We surveyed our membership and other system leaders and used this information as the baseline for our strategic planning process. Over the next three years, as PMBA continues to evolve to meet the needs of our members and the system, we will be focused on ways to help stations of all sizes build capacity at their stations through the efficient and effective delivery of public media services in their communities. This will be done through robust content offerings, improved services, and new collaborations and refreshed with ongoing research and engagement with our membership. Enhancing the efficiency, effectiveness, and economics of public media. To aid in the development, maintenance, and dissemination of concepts of financial, personnel, administrative and general management for public telecommunication organizations. To serve as a professional resource organization in matters of public telecommunication to National Public Radio, Public Broadcasting Service, their member stations, Corporation for Public Broadcasting, The Association of Public Television Stations and others. To promote the adoption of progressive management techniques as an important element in the management of public telecommunication entities. To provide a forum through which managers may seek professional growth through the exchange of information and ideas. PMBA will play a vital role in the success of our member stations and the communities they serve by (1) Convening the collection and sharing of industry best practices and resources; (2) Analyzing system trends and informing stations of the impact of these trends on their operations, and (3) Collaborating with member stations to share and develop new business models for their station. PMBA’s goal is to aid stations in their ability to build capacity and ensure the success and sustainability of their station for their local audience. Evaluate PMBA’s value proposition against programs and services offered by PMBA. Audience Target – Medium to Large Television Licensees: Develop a recruitment campaign to increase membership among medium to large television licensees. They currently comprise about 22% of PMBA's membership. Audience Target – Medium to Large Joint Licensees: Develop a recruitment campaign to increase membership among medium to large television joint licensees. They currently comprise about 34.7% of PMBA’s membership. Audience Target – Medium to Large Radio Licensees: Develop a recruitment campaign to increase membership among medium to large television radio licensees. They currently comprise about 18% of PMBA’s membership. Audience Target – Small Radio licensees: Develop a recruitment campaign to increase membership among small radio licensees. They Currently comprise about 11.3% of PMBA’s membership, but represent a little more than half of the public media system. Audience Target – Small Joint Licensees: Develop a recruitment campaign to increase membership among small joint licensees. They Currently comprise about 0.7% of PMBA’s membership but represent about 1.5% of the system. Audience Target - Small Television Licensees: Develop a recruitment campaign to increase membership amongsmall television licensees. They currently comprise about 5.6% of PMBA’s membership. Audience Target – Associate/Non-Licensee Organizations: Develop a recruitment campaign to increase membership among non-licensees who have an business interest in public media. They currently comprise about 6% of PMBA’s membership. By deepening PMBA’s existing relationships with CFO/business manager/HR functions, focus on expanding services to medium to medium/large stations. The increase in pricing will relate to an increase in the year-round value of PMBA services. Our hope is that a large upfront investment in programming/services could soften the blow of the price increase in the short-term and raise all boats in the long-term: helping member acquisition efforts, increasing conference attendance, and providing a larger base of support from which to invest in more value (a virtuous cycle!). Evaluate PMBA’s programs and services to determine their profitability. Develop new products to deliver on the association’s brand promise of effectiveness, efficiency, and economics. Identify alternatives sources of non-dues revenue for the organization. Identify and increase in a service, product, or content that would be irresistible for our target audience. Consider a “building year” where PMBA would make a significant investment out of reserves. PMBA should take collaborative approach in all PMBA’s work as well as fostering strong professional and personal relationships within PMBA, peer organizations, and the public media system. These collaborations should enable members to maximize their ability to achieve their respective missions, while also promoting the PMBA brand. Evaluate and pursue current and potential strategic alliances for research and educational programming. Capitalize on relationships with the volunteer leadership and staff of key stakeholder organizations. Pursue alliances with, and membership opportunities for, other industry experts and/or organizations. Define and implement a strategy to increase opportunities for members to engage and volunteer in the governance, strategy, and operations of the association. Define and implement a strategy to increase networking and collaboration opportunities within the PMBA membership to allow for the sharing of ideas, knowledge and resources in order to increase capacity for stations and the system. PMBA should expand and further develop its current program offerings. The organization’s current model is focused on the Annual Conference while providing pre-programmed Toolkits throughout the year. For the organization to play a vital role in its member organizations, these offers must be expanded to provide professional development and resource sharing on a wider range of topics. At the same time, PMBA must build mechanisms to quickly respond to, and bring together members, events and developments that may immediately impact our member organizations. Expand content offerings within current educational programs (Topics may include — Data sharing, analysis, & reporting; audit; Public Media 101, etc.). Explore a robust platform for further engaging and creating community among PMBA members. Obtain HRCI and SHRM continuing education credit certifications for PMBA programming. Conduct membership and potential member research annually and incorporate results into PMBA program planning.